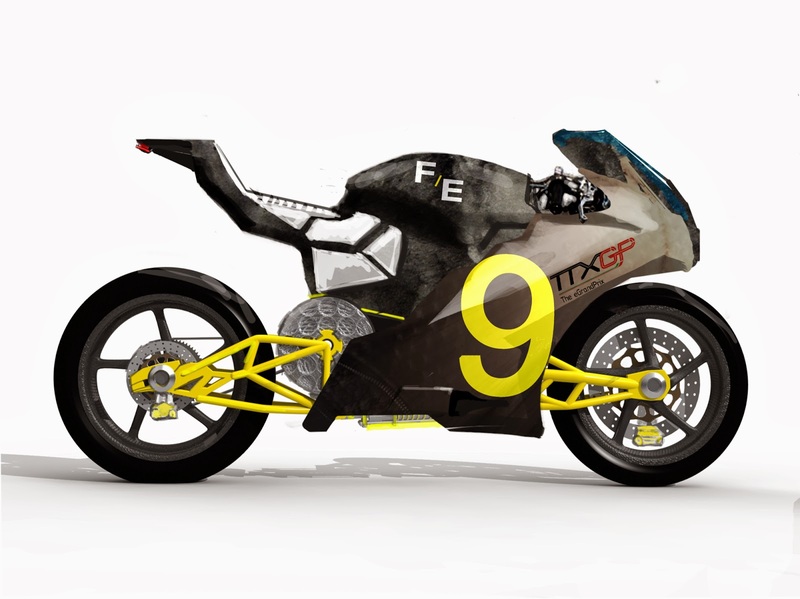 A new electric motorcycle team, Future Electric, has launched via IndieGoGo (link below) and claims to have designed the worlds fastest electric motorcycle. One of these days we'll get all the groups who make that claim into one race and settle it once and for all. Maybe. Anyway, the team has been working towards this goal for a couple years, and their short term intention is to enter the FIM eRoadRacing World Cup in 2014. I see a big motor mounted at the swing arm pivot, and a TTXGP logo even though we're not using that brand name any longer. Oh, and what's that front swing arm about? And, what are the specs? So, this means they're not going to beat Lightning Motorcycles land speed record, meaning they won't beat one of the definitions of "fastest electric motorcycle," but the 0-60 time is impressive. The light weight will certainly do them good in race situations. Their fund-raising goal of $60,000 will "pay for a high performance liquid cooled AC motor, and a state of the art Hub Centre Steering for one of the race bikes." Today’s most advanced electric motors are already better than current Moto GP motorcycle’s engines in terms of torque delivery, physical size, engine-braking control, and reduced gyroscopic handling impact. The small size of electrical components in electric motorcycles also gives room for better overall motorcycle design, which translates directly into better motorcycle handling and feel. In other words, electric drive trains can be more power dense than MotoGP engines. The issue we're facing is getting enough energy storage on board for a full length race. That means 30 kilowatt-hours or more, and the top race bikes today have about 14 kilowatt-hours IIRC.